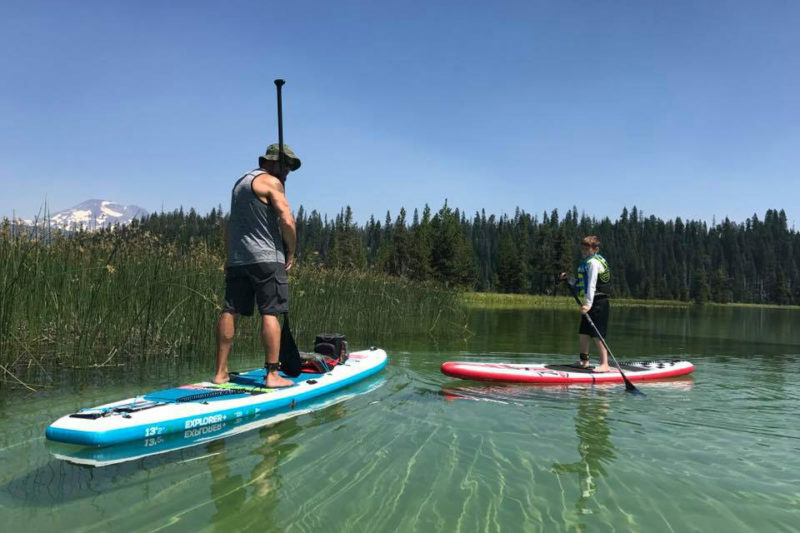 Paddle Boarding Hosmer Lake easily makes our top 3 paddling destinations list. It’s the closest you’ll get to Hawaii here in the Pacific Northwest! 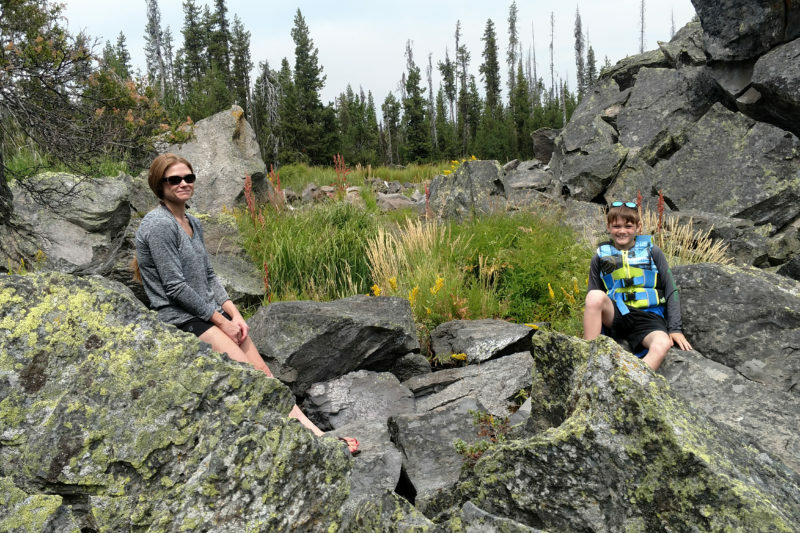 The crystal clear waters have an almost tropical feel, although the freezing cold temperature of the water will quickly remind you that you are still in the Pacific Northwest.. Hosmer lake is by far our favorite destination for taking the kiddos. I’ve never seen so many fish swimming under our boards in any other body of water in the NW. I guarantee both the kids and adults will enjoy watching all the various sizes and colors of fish swimming around the lake as you paddle through the channels. Parking at Hosmer can get tight real quick, if you cannot go during the week then you best get an early start on a weekend to ensure a parking place. The launch is very primitive, and can have some wait time depending on the crowds. The parking situation and the wait are well worth it once you do finally hit the water! Right off the launch, Hosmer Lake appears to be a small unimpressive body of water, really more of a pond. The real Beauty in Paddle Boarding Hosmer Lake lies past the initial pond. Paddle right past the pond and towards the far left corner you’ll see trails leading through the water. Following any of the multiple trails will take you to spectacular views of the snow covered mountains and you’ll start seeing dozens of fish almost immediately upon entering the water trail system. If you stay to the right at every turn, at the end of that trail system there’s a small but beautiful waterfall. It can be a little difficult to spot from the water so look for a place on the shore to beach your board so you can get out and look over the edge. If you stay to the left on the water trails, you’ll eventually pop out into a much much larger body of water. This is what Paddle Boarding Hosmer Lake is truly all about. The waters are amazingly crystal clear with vivid blue & green colors. 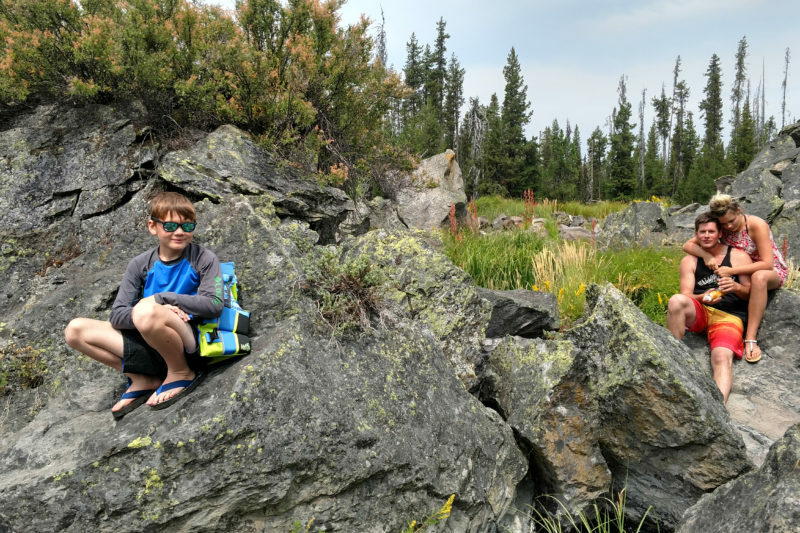 While any skill level of paddler can enjoy Paddle Boarding Hosmer Lake, do be aware that should the winds pick up the paddle back to the launch can be a bit much for some of the younger paddlers. This was our favorite paddle spot for our 8 year old son, but he did struggle a bit on the way back. Even he agreed the struggle was well worth it! Watching our kids laugh and point out all the fish truly reminded us what paddle boarding is all about as a family fun adventure in Fitness! Note: The calm waters of Hosmer Lake warrant a low difficulty level rating, however, on high wind days the paddle back to the launch can be surprisingly challenging!